The NFL Concussion Settlement has been anything but an easy process for the neurologically impaired class of retired football players. As of December 27 – ten months after the claims process began – a meager 13% — 206 monetary awards out of 1913 filed claims. As an observer noted, if claims continue to be processed at this rate, it will take approximately 4 years to process the current case load – and that doesn’t even account for the additional claims that will be filed. In an attempt to help the class navigate the maze of obstacles in the settlement, a new set of FAQs has been submitted and awaits final approval by the court. But as I noted in Part 1 of this series, the FAQ is laden with holes in which the answers to frequently asked questions present even more questions, not the least of which is how is a neurologically impaired person, who was advised not to retain personal legal counsel is supposed to comprehend a 69-page set of FAQs which make frequent reference to the 161-page Settlement Agreement, which is strewn with legalese that would be difficult for many people to interpret – even without the added challenge of brain damage? Aside from this, the constant reinterpretations of the Agreement and implementation of “processes” and “procedures” has many attorneys struggling to stay ahead of the curve. Part 2 of this series dealt specifically with FAQs relating to the Settlement’s Baseline Assessment Program (BAP). This, the third and installment in the FAQ series will look specifically at the FAQs which deal with the most important – and most challenging – aspect of the Settlement – Monetary Awards. While FAQ 24 precedes the FAQ section on Monetary Awards, since it is an eligibility determination, I decided to include it here. The need for this FAQ to even exist is somewhat astounding. One would think employment records for a $14 billion corporation would be rather easy to come by. This has not been the actuality, however. In particular, numerous retirees who played in the NFL Europe league have had great difficulty in obtaining employment records and tax returns have not been considered sufficient evidence of employment according to some attorneys I’ve spoken with who represent some of these players. It would seem illogical for a newspaper clipping to have greater weight than IRS records, but when it comes to the Settlement, logic doesn’t always seem to carry the day. Certain websites include a record of player statistics – if a player is on this “roster” is this considered acceptable evidence? The FAQ states that additional time to provide proof of employment will be granted to retirees should their employers fail to provide employment records, but since W-2 statements and tax returns have allegedly been cited as inadequate, examples of acceptable statements of proof should be included in the FAQ. FAQ 52 begins the explanation of Monetary Awards. Exhibit 1 is a 5-page document which makes frequent references to numerous provisions in the main Settlement Agreement as well as the 9-page battery in Exhibit 2. It would be helpful to have these explained in layman’s terms, as many claims with well established diagnoses from doctors who meet the criteria set forth in the settlement have been deemed deficient. The purpose of the settlement is to approve legitimate claims, not deny or delay them. Many claims have been delayed due to minor language technicalities. The FAQ needs to have clearly established criteria of what is considered acceptable and what isn’t. In the interest of transparency, a summary of how these definitions were adopted as well as a list of all individuals who contributed to the medical battery and criteria would be of great benefit and interest. 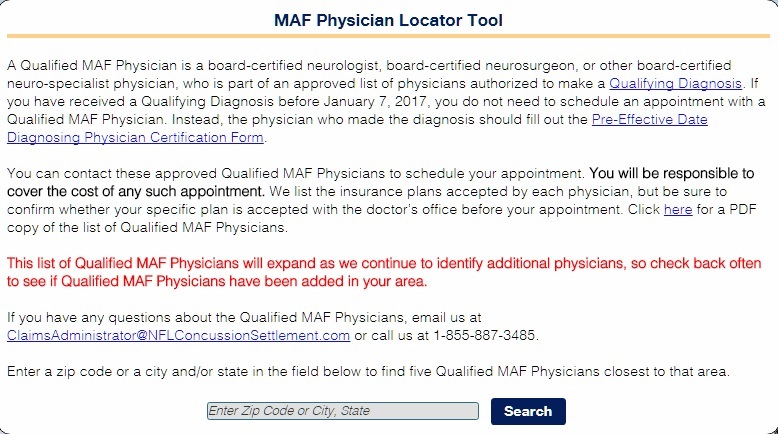 The FAQ states that a “list” of MAF Physicians is posted on the Settlement website, but this isn’t quite true. When one click’s on the link for MAF Physicians, pictured below, a search page is returned. 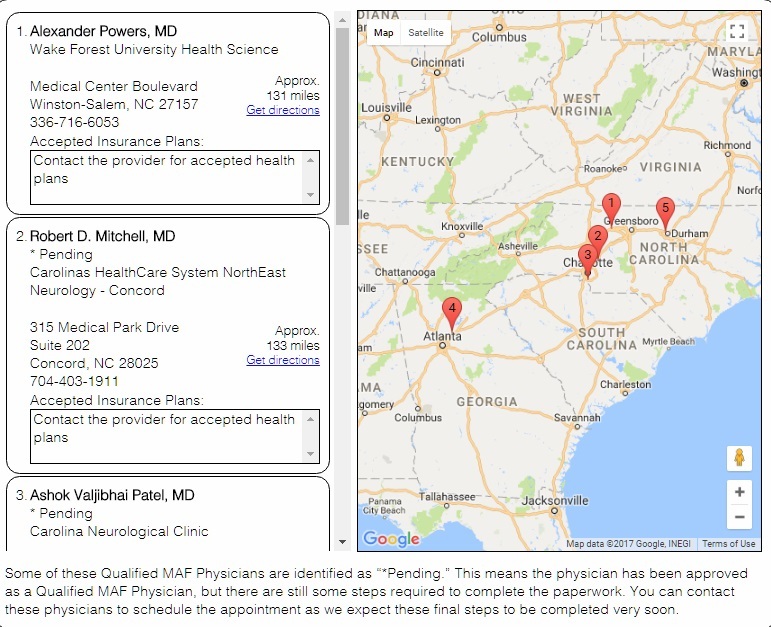 When I entered my zip code, a list of five medical practices ranging in distances from 131 to 205 miles from my location were returned in the search results. This presents a dilemma that many retirees will face when scheduling an examination. Those who live outside metropolitan areas will likely have at minimum two hours drive time to an appointment and as such might wish to view a broader spectrum of doctors since travel will most likely be a given. The problem is there is no list to reference for this. 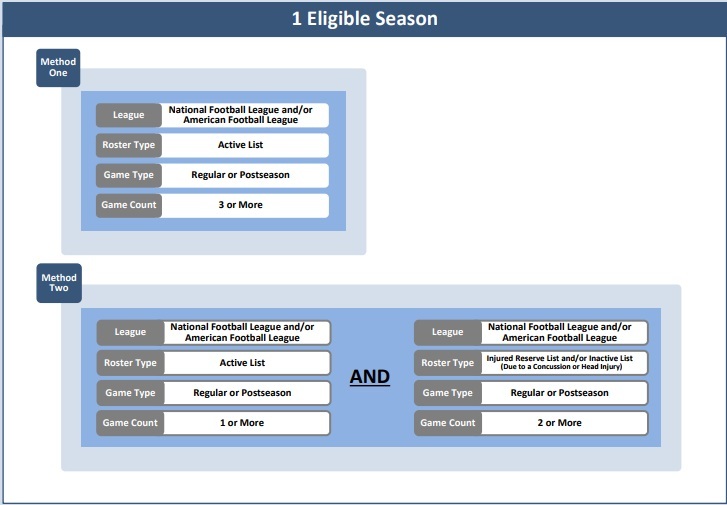 Sure, you can plug in a bunch of zip codes and do several searches but for a neurologically impaired player, it would seem to make sense to offer a master list organized by state in order to provide the maximum choices in the easiest way. Still the listing of MAF doctors is superior to that of BAP Providers who are not listed at all nor available to search. This is probably because BAP exams are scheduled through the BAP Administrator, but since this is an important decision and all doctors are not created equal, it would be of benefit to the retirees to make master lists of both MAF and BAP physicians available so that the doctors could be researched if desired and an informed decision made as to which doctor(s) to request or use. I believe this is an area in which numerous claims are being cited for deficiency. One example that I’m aware of is a doctor’s note that read, “Three month follow-up.” In spite of the fact that the patient had already been diagnosed with Alzheimer’s disease by the neurologist, and was visiting the doctor for that condition, the claim failed the “preliminary review” stage and was flagged with a deficiency. The personalized note attached, as described in FAQ 67 stated that the note didn’t specify a follow up for Alzheimer’s. If such requirements are necessary in order to pass the “preliminary review” the requirements should be very clearly detailed and if a medical document doesn’t appear to meet the established standard, a method of correction should be described so that players do not spend unnecessary time in this review stage. Which of these are requirements for approval? Which of these must be included in order to avoid deficiency? Precisely what must be reflected in these records? Obviously the diagnosis, but must each record specifically reference the diagnosis if the general context is treatment for an eligible condition? 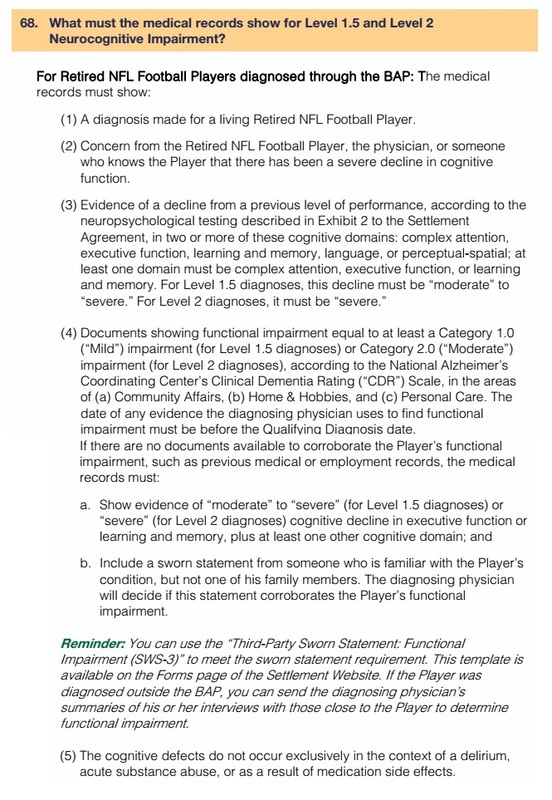 FAQs 68-72 deal with requirements for each of the Settlement’s Qualifying Diagnoses in similar format as shown above for Levels 1.5 and 2.0 dementia. This information is much more detailed than the pre-effective settlement date requirements in the actual Agreement. 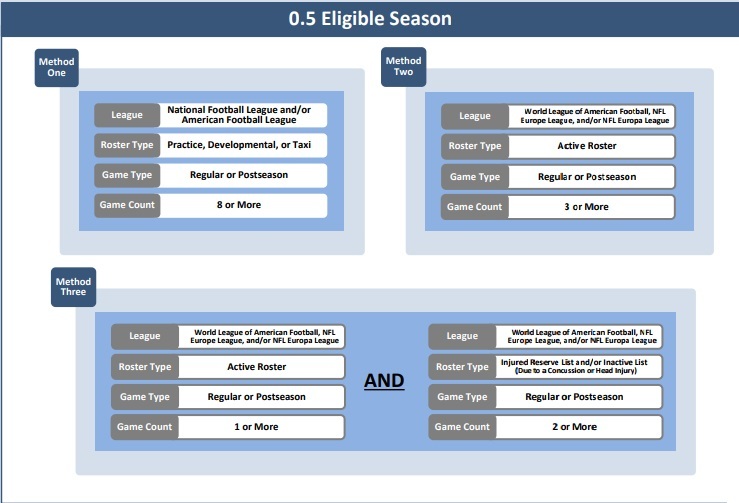 The criteria shown above was previously only required for post-effective date diagnoses – that is – for players who are being diagnosed – possibly for the first time, in order to see if they qualify for a Settlement award. When the Settlement was approved, the first provision was the only requirement for those who had an existing diagnosis, and this is how it was presented to players when they were enticed to join the Settlement. According to the actual Settlement Agreement this diagnosis was required to be “generally consistent” with a post-effective date diagnosis. Simply put, at the beginning of the claims process most players and attorneys interpreted this as meaning if your doctor diagnosed you for one of the qualifying conditions, and the doctor was a board-certified neuro-specialist, then you had everything necessary to present a valid claim. This is what was presented to the retired players – not the numerous hoops their debilitated minds and bodies would have to jump through in order to have what the Claims Administrator would consider a legitimate claim. Number 2 doesn’t present a problem, in fact, if anything concern on the part of retired players and their families would tend to be an understatement. Number 3 can however be problematic. MANY players, and even family members did not want to believe they were being overcome by dementia (or some of the other diagnoses). Many tried to rationalize why they were forgetful and compensate with notes and reminders, as their short-term memories began, and then continued to fade. This is a normal human reaction. It is much easier to deny and justify the difficulties than to come to grips with the fact that your mind is deteriorating. Because of this, many players have waited until their situations became dire before they would even agree to see a neurologist. Since numerous players received their diagnoses in an advanced stage of Alzheimer’s or dementia, a previous neurological medical record may not exist. Whether it does or not, it’s only reasonable to believe that a man who can’t remember where he lives or grapples with how to use a can opener, previously functioned at a much higher level in the areas of “complex attention, executive function and learning and memory.” Unfortunately common sense seems to be in short supply; otherwise, the alternative explanation for the requirement would simply be to deny legitimate claims. Number 4 does, however give an alternative, but even this can be problematic. There are a number of players who have “stayed in the closet” so to speak, avoiding the public and downplaying any semblance of decline to people outside their families. Recently Sports Illustrated reported on one such player, Nick Buoniconti. It was a difficult decision for the Buoniconti family to “come out of the closet,” and especially to release video of Mr. Buoniconti’s difficulty in remembering how to put on his shirt. I reported on a similar scenario in regard to the late R.C. Owens. It seems to be especially difficult for football players whose self-image was that of toughness to subject themselves to public scrutiny when sadly society still places a stigma on the mentally impaired. While provision 4(b) appears simple, appearances can be very deceiving. The following statement does seem to be a way around the rigid requirements and I am aware of a few claims that have been approved on this basis, but few is the operative word. Most players it seems are being held to the more rigid post-effective date diagnosis. Some attorneys are starting to send players to an approved neurologist to corroborate the existing diagnosis and have had a few approved claims using this method. It seems both absurd and cruel to delay sick retirees because of these technicalities. What are the medical qualifications of the Claims Administrator personnel who review claims packages and claims? Do they have any medical training? 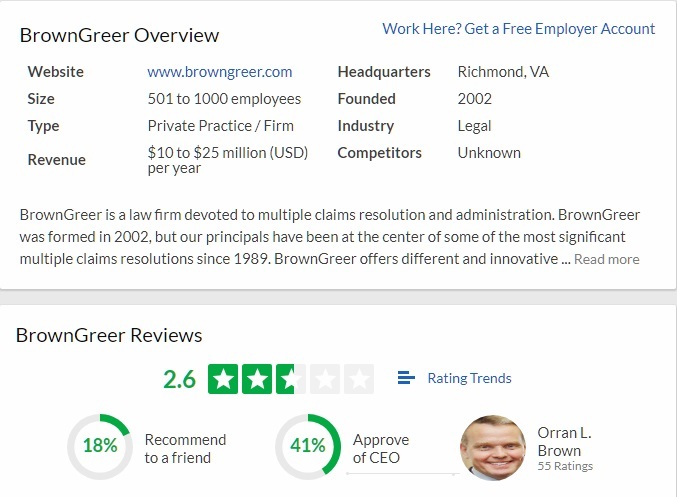 I visited glassdoor.com, where employees can leave anonymous reviews of employers to see if I could gain insight on Claims Administrator personnel. The first thing I noticed was that job satisfaction at the company was very low. Based on the numerous job reviews, it appears that the staff members who handle claims are people at the bottom of the pay scale, which would probably eliminate the possibility of much if any medical training. Glassdoor also reveals that jobs are project-based and that job security seems to be rooted in how long a particular project lasts. While I would not go so far as to say that the claims personnel are stalling, it doesn’t appear to be in their best interest to work quickly. The employees responsible for reviewing packages “to make sure they have the necessary information and documents” probably have a very inflexible list of documents to look for and if they can’t put a check mark next to each one, whether or not it is medically necessary for that particular claim, it winds up as a deficiency. This process is very similar to Social Security Disability where disability for a condition must meet each and every criterion with no room for deviation and no allowance for other medical issue which might amplify the disabling condition; as a result, only about 29% of claims are initially approved, and must eventually be heard by an administrative law judge in order for all of the factors to be fairly evaluated. Which brings up another question in regard to the Settlement. 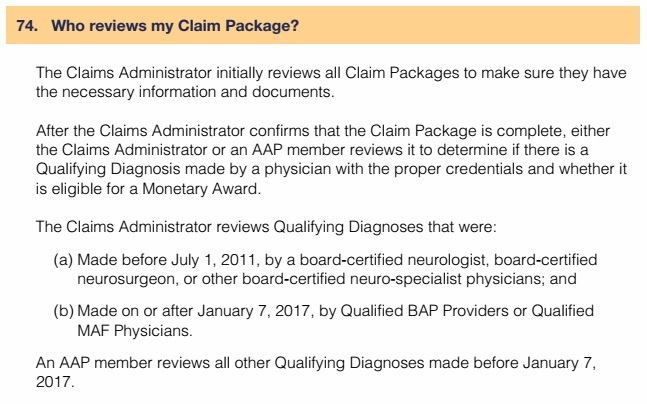 The Claims Administrator reviews claims “(a) Made before July 1, 2011, by a board-certified neurologist, board-certified neurosurgeon, or other board-certified neuro-specialist physicians; and (b) Made on or after January 7, 2017, by Qualified BAP Providers or Qualified MAF Physicians. 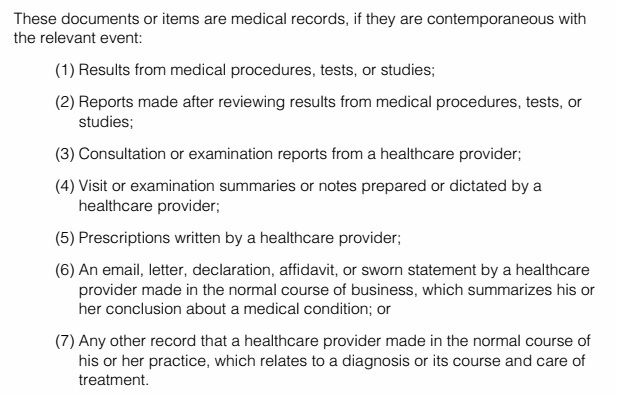 An AAP member reviews all other Qualifying Diagnoses made before January 7, 2017.” Why is a Claims Administrator, who is not an expert in medicine allowed to review, question and/or deny the records of a board-certified neuro-specialist? Any critical review of a doctor’s diagnosis should at the very least come from an equally qualified doctor, at least as I see it. Why not do the paperwork check and then send all medical evaluations to the AAP doctors? This appears to be a good policy, although I feel it should be applied more broadly as I noted under FAQ 74. 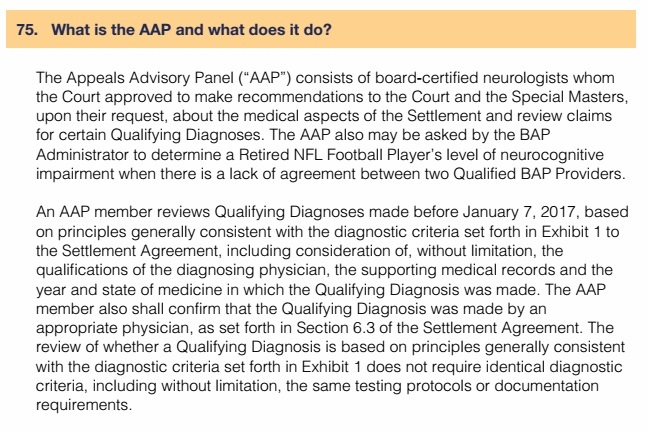 Unfortunately from what I’m hearing from attorneys, it’s extremely difficult for the claims subject to review from an AAP doctor to make it out of the document review and deficiency stage to actually be evaluated by an AAP. As of the most recent claims status report, 936 notices have been issued in regard to the 1,520 Monetary Awards claims filed; of these, 702 have been deficiency notices or “request for additional documents.” The other notices were for approved claims (191) and denied claims (43). It appears the remaining 584 claims are part of a processing backlog and have not been addressed. Are they also advising the Claims Administrator? If not the AAPC, then who is guiding their decisions in regard to neuropsychological testing results? The names of the doctors who comprise the AAP and AAPC can be found here. FAQ 78 describes what happens after a claims package is submitted. I’m unaware of any that have been reviewed on the merits without a “Notice of Preliminary Review” or “Request for Additional Documents.” Early in the claims process both of these were referred to as “Deficiency Notices.” FAQ 79 explains the “Notice of Preliminary Review and FAQ 80 explains the “Request for Additional Documents.” For all practical purposes, they are one and the same – a request for additional documentation upon which claims approval may hinge, and a Class Member will receive one or the other depending on the type of diagnosis and who diagnosed it. Nothing like keeping things simple for a neurologically impaired Class. Right? 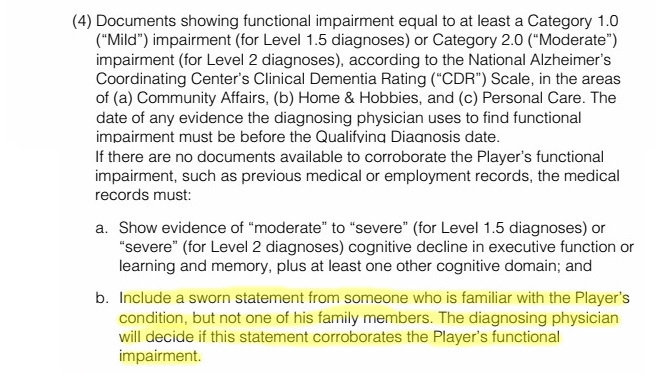 In this case, the player’s medical records, testing dates, a physician certification form and a statement from the board-certified neurologist who diagnosed the patient were submitted, yet the Claims Administrator is unconvinced of the player’s decade-old diagnosis date. This notice was issued in September and must be cured in January or his claim will be denied. His attorney has scheduled an appointment for him to see a MAF neurologist as a last resort of convincing the Claims Administrator of the legitimacy of the diagnosis date. This makes no sense. FAQ 74 indicates that the Claims Administrator rules on the vast majority of claims. FAQ 83 confirms that the Claims Administrator does not base his approval or denial on medical issues but “whether the procedural rules were followed.” It refers to “procedural rules” which need to be followed. However it doesn’t provide a reference point to those procedural rules which are referenced. This seems to be a play straight out of the NFL’s Disability playbook where claims are frequently denied on procedural issues without a review of the medical merits. But – for $1,000 a sick and likely financially challenged retiree may appeal his claim in order to have it reviewed by a doctor. According to FAQ 74, this must apply to diagnoses predating January 7, 2017, but, NOT those made “before July 1, 2011 by a board-certified neurologist, board certified neurosurgeon, or other board-certified neuro-specialist physicians; or those made after January 7, 2017 by a Qualified BAP Provider or Qualified MAF Physicians,” since those decisions are made by the Claims Administrator. Got it? Could it reasonably be expected of a neurologically impaired person to bounce back and forth between FAQs and comprehend what he’s reading? Wouldn’t he most likely have trouble remembering what he read in FAQ 74 by the time he gets to FAQ 84? If so how should he be expected to know to cross reference the two in order to know who’s evaluating his claim? I suppose this is theoretically possible, although I’m aware of no one whose claim has been approved in 45 or even 60 days. The quickest processing appears to have been for the first two claims approved; one for ALS and one for Death with CTE. These were submitted in March and approved in June. Most claims have taken substantially longer with hundreds of others that were submitted in the spring still undecided. This is a long one so I’ll break it up. Here’s the table referenced above. Not referenced the FAQ in regard to how eligible seasons will affect claims awards, the Settlement Agreement defines how those 4.5 eligible seasons as calculated above will have a percentage of their award deducted. Would a mentally impaired person know to look here for the numbers? 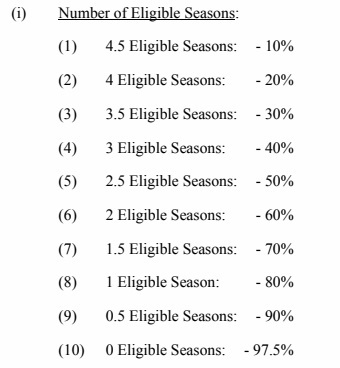 As I noted in FAQ 24, many players are finding these calculations surprising as they do not match the eligible seasons as calculated for post career benefits negotiated in the CBA. Number 3 points out that a stroke or traumatic brain injury prior to diagnosis will also reduce a Monetary Award. A bit further down, the FAQ clarifies the amounts that will be deducted if these injuries occurred prior to a qualifying diagnosis. Number 4 deals with a 10% deduction for non-BAP participants, but the language used in the FAQ sounds as if they player will be docked for using the BAP. 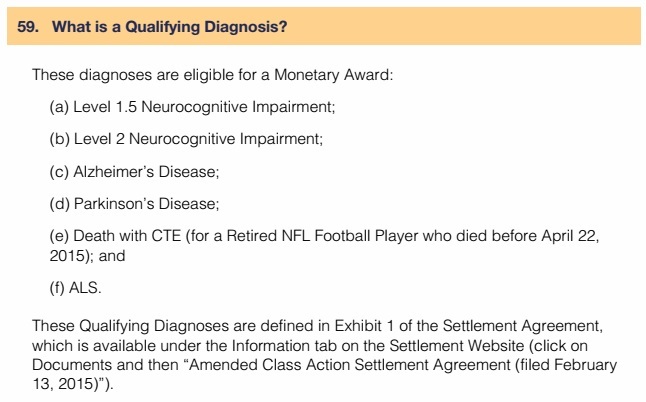 From this one can conclude that if a player is receives a Qualifying Diagnosis outside the BAP after January 7, 2017 (the Settlement effective date) there will be a 10% deduction to the award unless the diagnosis is ALS. Since BAP providers can only provide diagnoses for Level 2.0 and Level 1.5 dementia, those diagnosed with Alzheimer’s or Parkinson’s after the effective date will see their awards reduced by 10%. Liens, attorney fees, and Derivative Claimants are addressed in other FAQs. Further assessments ordered by the court is undefined. The reasons stated for charging Class Members $1,000 to file an appeal is “fraud prevention,” under the guise that fraudulent claims will be unlikely to appeal. While this seems rational on the surface, the $14 billion NFL can appeal an unlimited number without charge. This seems highly unfair to Class Members who are in many cases financially strapped. Yes, the Claims Administrator has the authority to waive the fee, but how likely is it that the same Claims Administrator who denied a claim would be willing to waive the fee to appeal his decision? Unfortunately an appeal may be the only way to get a claim in front of the Appeals Advisory Panel Consultants (AAPC) and Special Masters. Simply filing another claim, at least one with sufficiently different documentation is likely to be reviewed by the same entity who denied it and is unlikely to succeed. This scenario described above plays out frequently in both Social Security Disability and NFL Disability claims. A denied claim may be refilled numerous times until it is appealed and heard by an Administrative Law Judge or someone of similar authority. 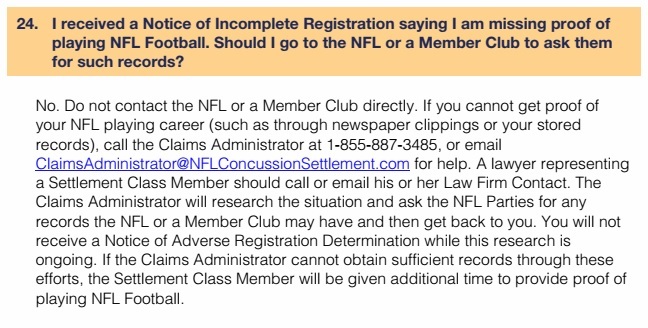 As mentioned in the previous FAQ, the NFL has the right to appeal any claim but without the financial expense of the Class Member. It seems there’s no “fraud prevention” measure to prevent the NFL from frivolously appealing as many claims as they wish. More troubling however is that Class Counsel also has the right to appeal claims. Why would Chris Seeger appeal the claim of someone he’s appointed to represent? I’m unaware of this happening, and indeed it may not, but the provision in and of itself seems strange. FAQs 90-97 deal with specific provisions for Representative Claimants such as widows. Since I’m already at 4,000 words, on general Monetary Awards, which comprise the majority of claims, I’ve decided to omit elaboration on Representative and Derivative claims in this article. Should a Representative or Derivative claimant desire a break-down of those FAQs please contact me and I’ll try to get something out on those types of claims. 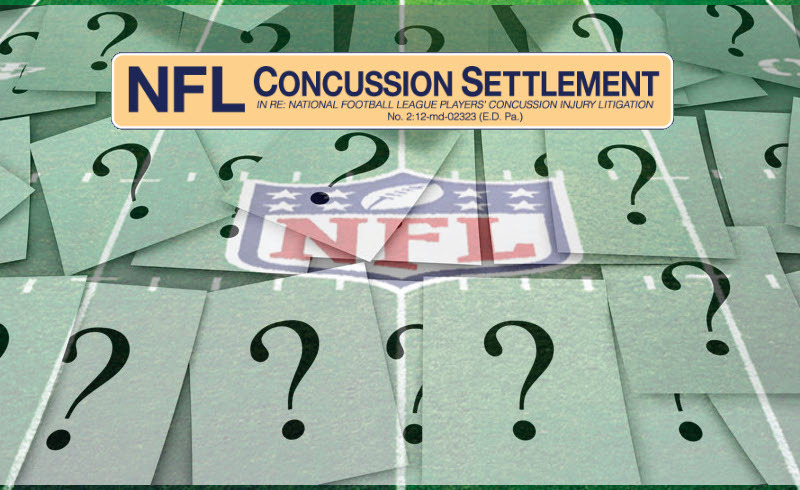 I didn’t plan to write a long-form story explaining Settlement FAQs regarding the claims process in the NFL Concussion Settlement. I shouldn’t have to. And these are in addition to two other articles relating to general information and the BAP program. It’s been a lot for me to dig through and there are still enough FAQs to merit a fourth article. And that doesn’t even include the specific requirements for Representative and Derivative claimants. If you’re read this all the way to here, I thank you. It’s a lot to plow through. Now imagine if you’re suffering from Alzheimer’s Disease or dementia and have difficulty in remembering what someone said to you five minutes ago. And imagine that you were convinced you didn’t need a lawyer. That’s the position approximately 43% of the neurocognitively impaired players who’ve filed claims find themselves in. They deserve better.